Flowers, beautiful colourful flowers, roses, lilies, orchids, chrysanthemums, carnations, baby breath, etc...etc... in an assortment of colours. Most women I know loves flowers, even my little girl. I remember the times when she was a toddler and how much pleasure she would derive getting a rose or a hibiscus from her dad or from me...Even up to today, a fallen on the ground frangipangi flower can bring smiles to her face. I was strolling past Lorong Hang Lekir in Petaling Street / Chinatown when I pass by this flower shop. 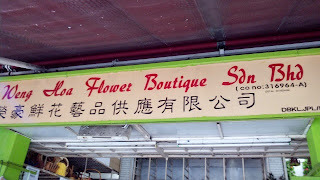 This is my sister in law's favorite flower shop, especially when it comes to Raya or when she has functions. 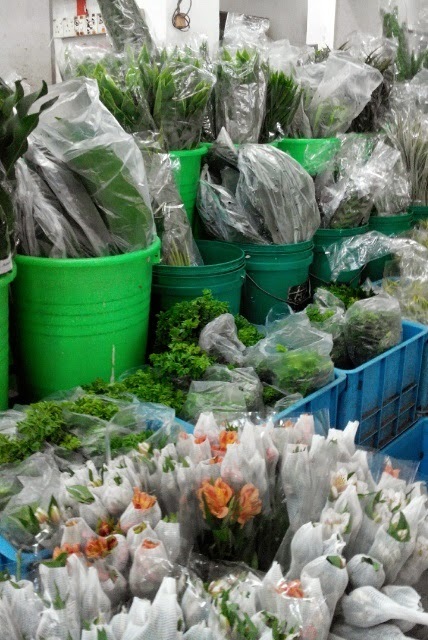 You can buy beautiful and fresh flowers, direct from here . I think the flowers come from Cameron Highlands and some other places. In 21th September 1994, the 3 companies were merged and converted to a private limited company and assumed its present name. 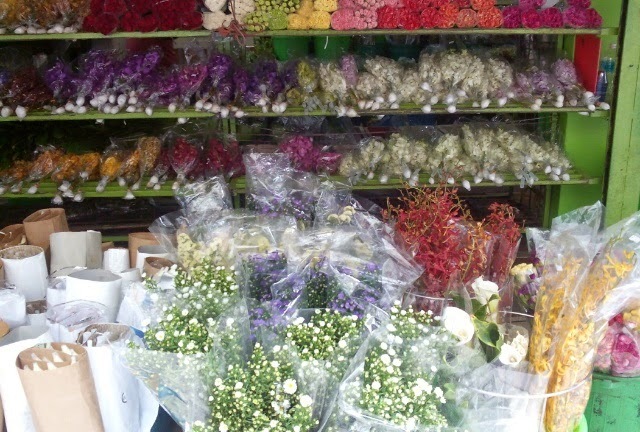 The Company was initially formed dealing in import/export/retailing of fresh flowers. 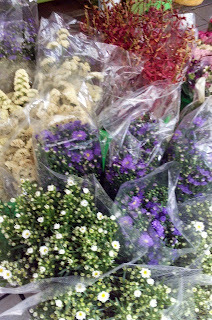 It expanded in import and export of a artificial and dried flowers and handling of all kind of functions. Flowers... buy your loved ones some flowers.... pretty flowers... heheh and the prices are definitely very competitive . 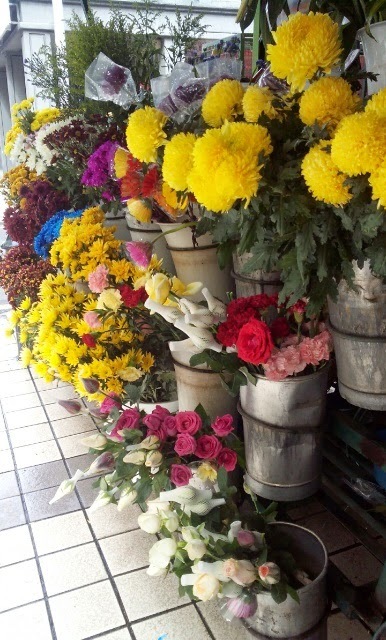 I doubt you can get much more cheaper flowers then these in KL. 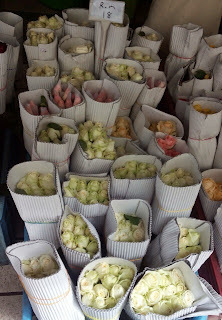 Only thing is some of the flowers have to be bought in a bunch.. half a dozen or so. See, a dozen roses just for RM18!!! 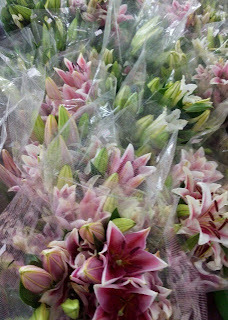 So, if you are in search for some flowers for whatever the occasion... you know where to look for reasonably priced fresh flowers now..
yeah I like fresh flowers.. so nice for inner home too. How much Tulip for Wedding register most cheap ? 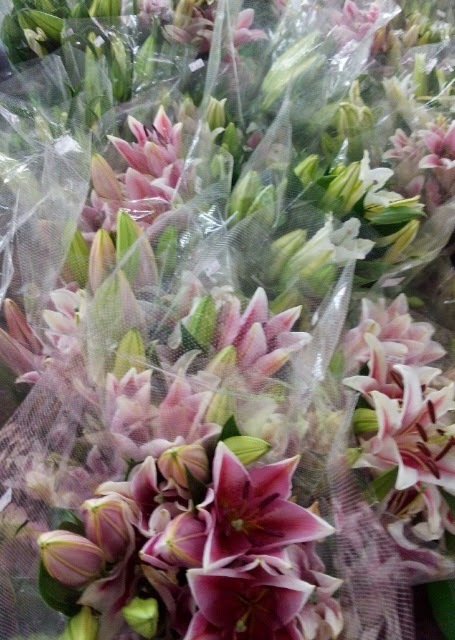 What "colour" of Tulip you have sell?Have you sell mix or double colour of Tulip? How much Rose of Champagne color for Wedding register? Is it okay to remove thorns from my roses. So beautiful flowers ! 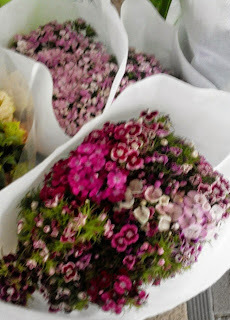 Everyone loves flower, we need it to use on different occasions but there are need it on reasonably price. For cheap flower delivery click on this link. not only girls , i guess even boys like flowers , its just that they don't show or maybe express that they like getting flowers as gifts because they think its a girly thing , otherwise boys like it too. I have already visited your blog and commented above its just awesome but do check my blog too and reply if you can to suggest the chances or if its just fine ? I really like all of the other posts including this post on your blog keep it up !! Really Appreciate your work , keep it up !! I would like to order 250pcs yellow rose with packing for birthday use. We are living in a fast world, where we hardly find any time to physically become a part of an occasion but we do not want to disappoint our loved ones by not making to it. So, chose flower voucher codes and send them a present online to make them feel that they are still important to us and the present conveys our best wishes and love for them.